Here are some basic ideas for raw food diet meal plans for your own raw food plan. 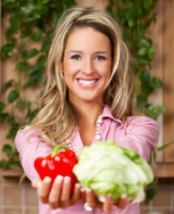 Raw food diet meal plans are essential, especially when transitioning to a raw food diet. Once you get the hang of it, it is not hard at all to devise your own raw food diet plan. Figure out what raw foods you really like and stock up on them. Remember when you were eating cooked foods? There were some things that you really did not like, so you concentrated on eating and enjoying the foods you did like. This was almost subconscious, developed over years of eating. The same goes with raw foods. Start eating raw with food you really enjoy and start experimenting with some raw recipes. When you find a raw recipe that you really like, double or triple it so that you have it for a few meals. Even though you are eating raw you want to enjoy what you are eating. If you are a “snacker,” and always have been, then don't worry about actual raw foods diet meal plans, just make sure that your refrigerator and cupboard is stocked with ready-to-eat raw snacks. Ideas for raw snacks are frozen berries, raw food bars, kale chips, salads in the refrigerator, fresh fruit, fresh vegetables, raw candy, raisins or dates. If you like melons, cut them up into chunks or make melons balls so that when you are hungry, they are ready to eat. 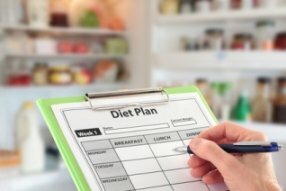 With a bit of practice and a well stocked raw pantry and refrigerator, you will be easily making your own raw food diet meal plans. Raw Salads – There is so much more to a raw diet than just eating salads! However, salads seem to be staple of raw diets. Forget the iceberg lettuce, it has very little nutrition anyway, and challenge yourself to make a salad using other leafy greens or vegetables like shredded cabbage, shredded beets, shredded jicama as a base for your salad instead of lettuce. Put several carrots into your blender with some water and/or any fresh raw juice and process. This is an excellent “salad.” A salad may also simply be a combination of raw vegetables, cut or shredded and topped with a bit of sea salt, some nutritional yeast and/or a raw salad dressing. Think Smaller Meals – Back in the “cooked food” days, dinner possibly consisted of a main entree, a side dish or two and a dessert. You will find that when you start to eat raw food you will not be eating as much at one meal. Start to think smaller and more frequent meals and your body will follow. Lunch or even dinner may consist of large vegetable salad. Another meal may simply be a fruit salad. A banana dipped in carob powder may be enough for breakfast. Another idea for lunch or a snack is raw almond butter and a bunch of celery. Blend or Juice – Fresh raw juices and/or smoothies are another staple in any raw food diet. A smoothie or a combination of fresh juices can be a meal in itself. The large amount of nutrition easily compensates for the smaller servings. Fresh juices should be consumed quickly after they are made, but smoothies, especially green smoothies, will keep in your refrigerator for at least a day. A 16 ounce glass of green smoothie may be enough for a meal on its own. If you think that juice or a green smoothie is not enough for you, just eat some whole raw fruits, a raw food bar or some raw flax crackers to make a complete raw meal. Also consider making some raw cold soups. Raw soups are easy to make and a very satisfying part of a raw food diet meal plan. Raw Entrees – A raw entree is usually considered a “heavier” dish. These are usually nut or seed-based raw dishes. Examples are nut pate, raw veggie burgers and nut and seed cheeses. Use your raw entrees when you eat the biggest meal of your day. If you are trying to gain weight include more raw entrees into your raw food diet meal plans. If you are tying to lose excess weight, limit your raw entrees and rely more on raw fresh fruits and vegetables. 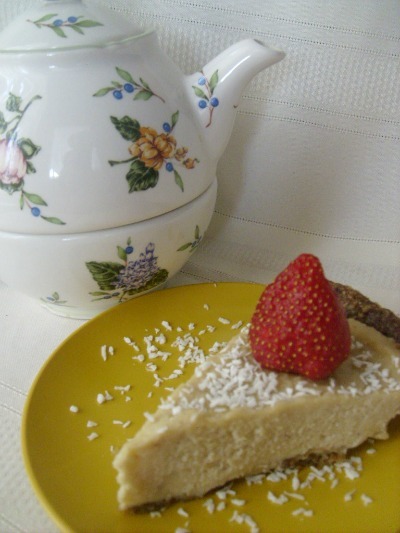 Raw Desserts – One of the beautiful things about a raw diet is that you can have your dessert as a meal! Raw food desserts are both nutritious and guilt free. Check out raw food dessert recipes for some delicious ideas that you can really enjoy. Use these basic ideas to develop your own raw food diet plans. Breakfast – Fresh fruit or fruit juice. Pair bananas with one or more of your favorite juicy fruits, either in a bowl or put your fruits in a blender, add a bit of water, a few dashes of cinnamon and some raw honey. Blend until smooth for a breakfast smoothie. Another idea is to juice several of your favorite citrus fruits. Lunch – Use any combination of raw vegetables and a raw dressing as a dip and enjoy. Or have some raw soup. Double your soup recipe for either dinner or the next day. Dinner – Raw spaghetti with raw sauce, raw flax crackers and nut cheese, kelp noodles with either an olive oil dressing or a raw tomato sauce dressing or my personal favorite — raw dessert! Snacks – Seed or nut milk makes an excellent snack and is a great addition to your raw food diet meal plan. Or enjoy drink about 16 ounces of green juice or even better, a green smoothie. Any fermented food such as a small serving of kimchi, sauerkraut or a fermented dill pickle is good as a snack or as a side for any of your raw meals.